Edgar Codd is the creator of the relational databases model, an extremely influential general theory of data management, the foundation of RDBMS (Relational Databases Management Systems), used everywhere nowadays. Edgar (Ted) Frank Codd was born on 23 August, 1923, in Fortuneswell, on the Isle of Portland, in England. He was the youngest of seven children of a leather manufacturer father and a schoolteacher mother. Edgar earned degrees in mathematics and chemistry at Exeter College, Oxford, before serving as a pilot in the Royal Air Force during the World War II. In 1948, Codd moved to New York to work for IBM as a programmer for the Selective Sequence Electronic Calculator, IBM's first electronic computer, an experimental machine with 12500 vacuum tubes. He then invented a novel "multiprogramming" method for the pioneering IBM 7040 STRETCH computer. This method enabled STRETCH, the forerunner to modern mainframe computers, to run several programs at the same time. In 1953, disappointed by the USA policy, Codd moved to Ottawa, Canada. A decade later he returned to the USA and received his doctorate in computer science from the University of Michigan. Two years later he moved to San Jose, California, to work at IBM's San Jose Research Laboratory. In the 1960s and 1970s Codd worked out his theories of data arrangement, based on mathematical set theory. He wanted to store data in cross-referenced tables, allowing the information to be presented in multiple permutations. It was a revolutionary approach. In 1969 he published an internal IBM paper, describing his ideas for replacing the hierarchical or navigational structure with simple tables containing rows and columns, but without great success and interest. Codd firmly believed that computer users should be able to work at a more natural-language level and not be concerned about the details of where or how the data was stored. In 1970 Codd published his landmark paper, A Relational Model of Data for Large Shared Data Banks. Codd's concept of data arrangement was seen within IBM as an "intellectual curiosity" at best and, at worst, as undermining IBM's existing products. Codd's ideas however were picked up by local entrepreneurs and resulted in the formation of firms such as Oracle (today the number two independent software firm after Microsoft), Ingres, Informix and Sybase. Let's see how Don Chamberlin, an IBM colleague of Codd and coinventor of SQL, was acquainted with Codd's ideas: "...since I'd been studying CODASYL (the language used to query navigational databases), I could imagine how those queries would have been represented in CODASYL by programs that were five pages long, that would navigate through this labyrinth of pointers and stuff. Codd would sort of write them down as one-liners. ... They weren't complicated at all. I said, 'Wow.' This was kind of a conversion experience for me. I understood what the relational thing was about after that." To Codd's disappointment, IBM proved slow to exploit his suggestions until commercial rivals started implementing them. Initially, IBM refused to implement the relational model at all for business reasons (to preserve revenue from its current database implementation—IMS/DB. In 1973 IBM finally included the relational model of Codd in his plans, in System R subproject, but Codd was not involved in the project. Among the critical technologies developed for System R is the Structured Query Language (SQL), (initially called SEQUEL) developed by Chamberlin and Ray Boyce. Boyce later worked with Codd to develop the Boyce-Codd Normal Form for efficiently designing relational database tables so information was not needlessly duplicated in different tables. In 1981 IBM released to market its first relational database product, SQL/DS. DB2, initially for large mainframe machines, was announced in 1983. IBM's DB2 family of databases proved to be one of IBMs most successful software products and is incorporated in the operating systems of mainframe and middleware servers of IBM. Still in IBM, Codd continued to develop and extend his relational model. As the relational model started to become fashionable in the early 1980s, Codd fought a sometimes bitter campaign to prevent the term being misused by database vendors who had merely added a relational veneer to older technology. As part of this campaign, he published his famous 12 rules to define what constituted a relational database. Codd retired from IBM in 1984 at the age of 61, after a serious injury resulting from a fall. Later he joined up with the British database guru Chris Date, whom Codd had introduced to San Jose in 1971, to form the Codd and Date Consulting Group. The company, which included Codd's second wife Sharon Weinberg, made a good living from conducting seminars, writing books and advising major database vendors. Codd never became rich like the entrepreneurs like Larry Ellison, who exploited his ideas. He remained active as a consultant until 1999. 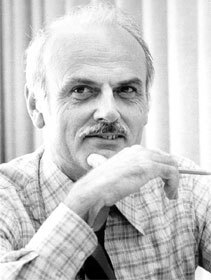 Codd was a holder of the Turing Award in 1981, and in 1994 he was inducted as a Fellow of the Association for Computing Machinery. Edgar Codd died of heart failure at his home in Williams Island, Florida, on April 18, 2003, survived by his wife, four children and six grandchildren.